The RF video reception is handled via the Vislink L2174 receiver. It can operate in 2 or 4 antenna input mode. Multi-site networks can be built by connecting L2174 receivers via ASI-packet diversity. All antennas for video and data transmission work via BNC-HD Cable up to 300 m or optional via SMPTE fibre cable up to several Kilometers using our RFiber System. 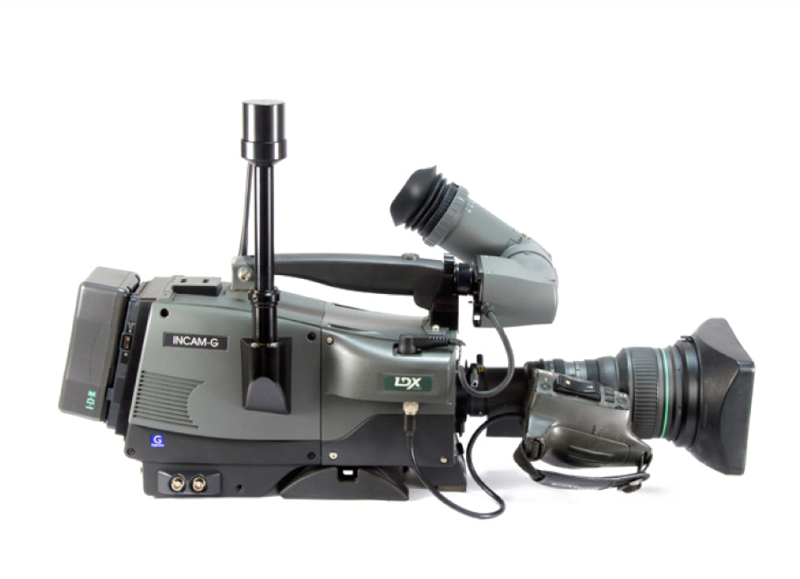 We offer you the option to decode your video signal to MPEG-4. This offers you the best video quality worldwide. Using the world standard VISLINK technology inside, we are able to get a latency time of only 20 ms.
All related functions of the original manufacturer control are supported. Up to 1 km video range and telemetry control using RF output power 250 mW and 1W for telemetry control. If your have any specialized questions about GV Products and wireless LDK/LDX Systems please contact Patrick Nussbaum.